The State Chamber (Oklahoma's Association of Business and Industry) provided the presentation today for Collinsville's local Chamber of Commerce. 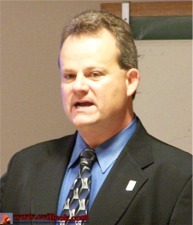 Mark Rathe who is the Northeastern Area Manager spoke at the Collinsville Library for the monthly lunch gathering. The main topic was the "Oklahoma Prosperity Project" which provides free voter information to employers to encourage employees to vote as well as provide information to make an informed vote. The State Chamber asks candidates questions relating to jobs and enonomics in Oklahoma. More information can be found at www.okprosperity.com. REGISTER TO VOTE by October 13th to VOTE on November 7th! 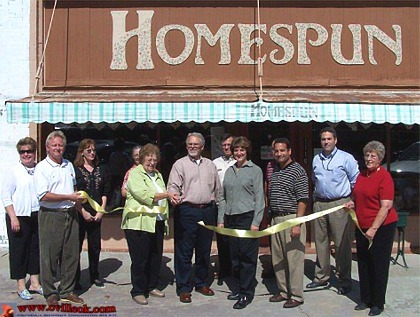 The Collinsville Chamber of Commerce held a ribbon cutting for the new Homespun gift shop at 1116 W. Main today. 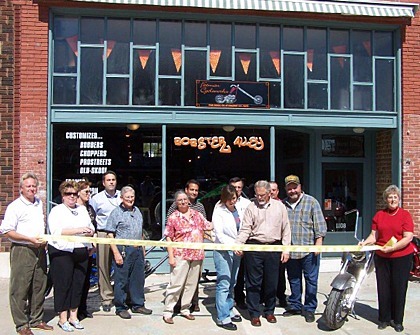 The Chamber's 2nd ribbon cutting Thursday was just a few doors east at 1108 W. Main where Fatman Cycleworks was holding their open house.